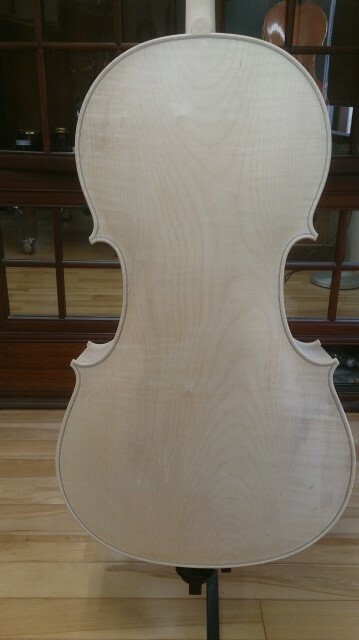 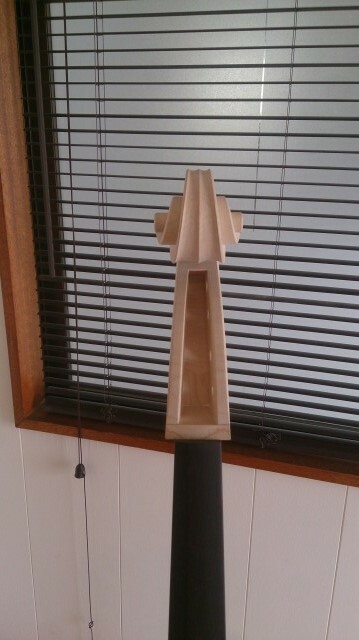 A white cello was completed. 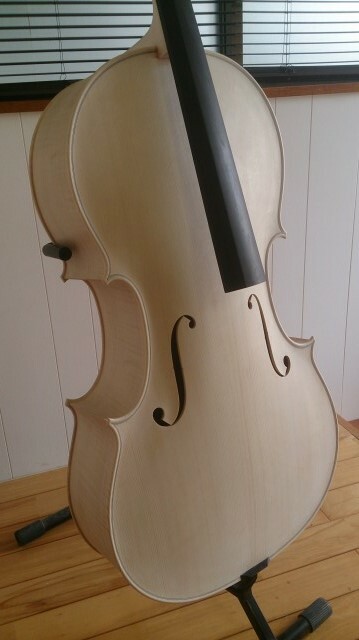 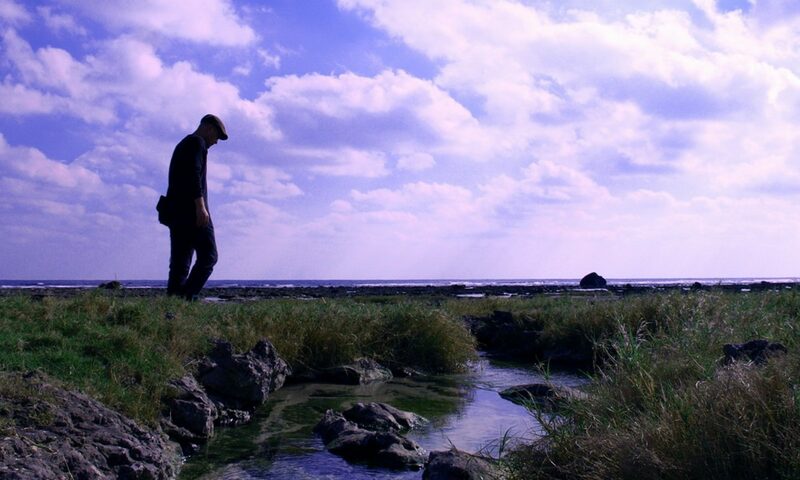 This cello goes to private exhibition of Tokyo. 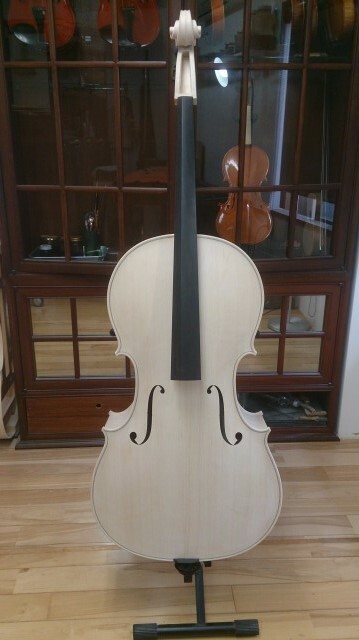 It has a one piece back.